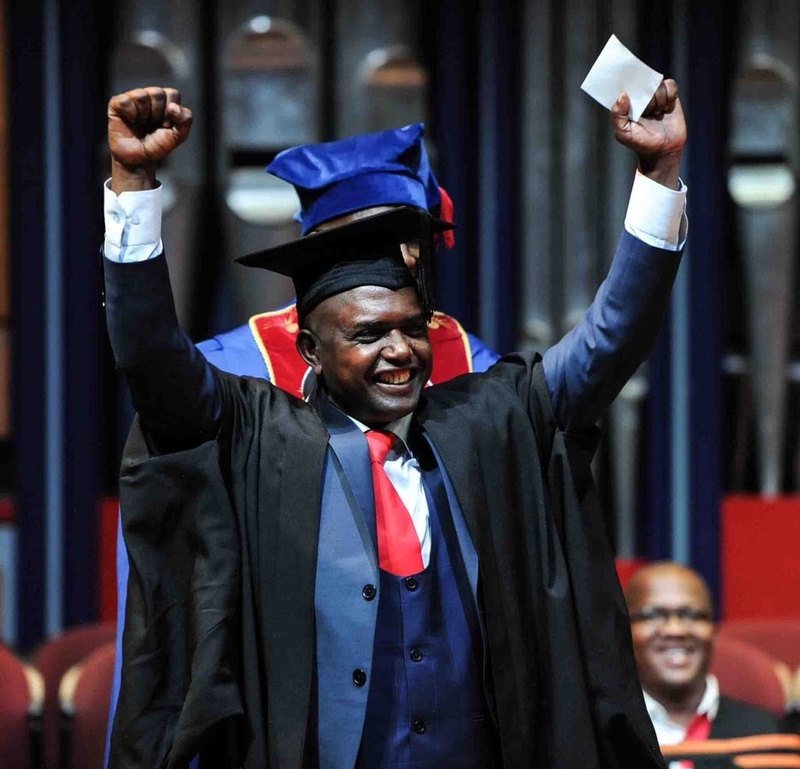 PICS: EFF'S GODRICH GARDEE GRADUATES WITH LLB! THE Economic Freedom Fighters (EFF) Secretary General Godrich Gardee graduated at the University of South Africa (UNISA), Pretoria campus with an LLB degree on Monday. THE Economic Freedom Fighters (EFF) Secretary General Godrich Gardee. Most of the top leaders in the party attended the graduation, in support of Gardee, including the famous author and Advocate Tembeka Ngcukaitobi. Gardee also holds a Higher National Diploma in Accounting and Auditing. He was involved in politics from 1985, he was part of the ANC in Botswana when he was exiled from Mzansi for being involved in student uprisings. When he returned to Mzansi, he worked for the African National Congress (ANC), before joining the EFF.